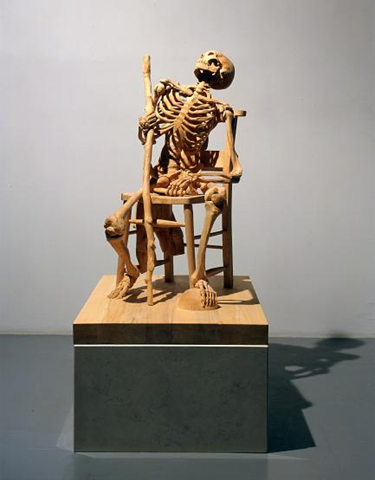 Ricky Swallow “The Exact Dimensions of Staying Behind” English Limewood, 2005. “In care the being of dasein is included.” (B&T 231) This ‘care’ is primordial, before all other manifestations of “will, wish, addiction & urge.” (B&T 183) ‘Care’ is enmeshed with being. The anxiety about death is grown from ‘care.’ As there is a willingness to be a part of the world, we are caregivers with/for our being. The question of being is ontological. We are looking at death with Heidegger in his book Being & Time* as the end structure of being & as it is understood within one’s existence. Other ways of purposing being in a scientific manner, have resolved with what to do with the ontic, but are then be to be compared, challenged, questioned & implemented into the ontological, that is, a philosophical explanation of being (‘dasein’ translated as ‘being-there’). Heidegger’s philosophy is phenomenological & hermeneutical. His is a hermeneutical interpretation of being, starting with the ‘everyday’ & moving into being’s distinctive questions, such as: how being is placed in time. “Everydayness reveals itself as a mode of temporality.” (B&T 235) If being is to be considered within temporality, death becomes (& is) an essential structural component for the life of the individual, as a fact (ontic & ‘existentiell’ contrasted with ontological & existential). Roughly, the bare facts of life are held with how that being understands & interprets those facts within time, existentially. 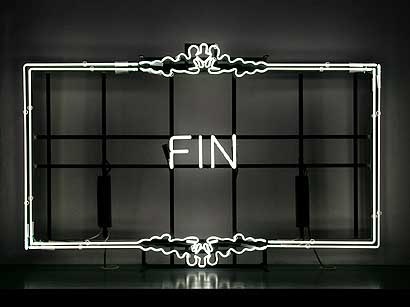 Manfred Erjautz “Thinking about the end as a beginning 1” 2004, neon & steel. “Existence means a potentiality-for-being—but also one which is authentic.” (B&T 233) ‘Authenticity’ is basically defined as being that is fully recognized entirely as mine & as full potentiality. Being’s possibility is ‘authentically’ mine. We’ll look later to how this is set-up with ‘inauthenticity’ & how it’s a fundamental key to a perception of our life towards death. “But as something of the character of dasein, death is only in an existentiell being-towards-death.” (B&T 234). So, while ‘dasein’ is ‘being there’ in a state of continuous possibility, it also must end factually, & with death our lives are rendered ‘whole.’ Life is not the whole story till we die. “As long as dasein is, there is in every case something which is still outstanding, which dasein can be & will be; but to that which is thus outstanding, the ‘end’ itself belongs. The ‘end’ of being-in-the-world is death.” (B&T 234) It is our having a conscience that calls into question the issue of death for ourselves. 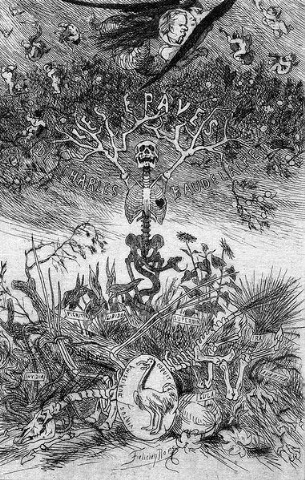 Félicien Rops Illustration for “Les Epaves” by Charles Baudelaire, 1866. Heidegger speaks of a history, implied with the temporal nuances of one’s past & how that past is played out in the present moment—broadly defined: the history of our being. I am living out what has past & I’m full of potential for the future on until my death, as I exist forward until my death. Let us keep in mind that Heidegger’s existential analysis is secular & does not address a religious context for being or being towards an afterlife &c. This does not exclude a reading to find religious affinities within his text. Any possible ‘spiritual’ connections will be left for another time. 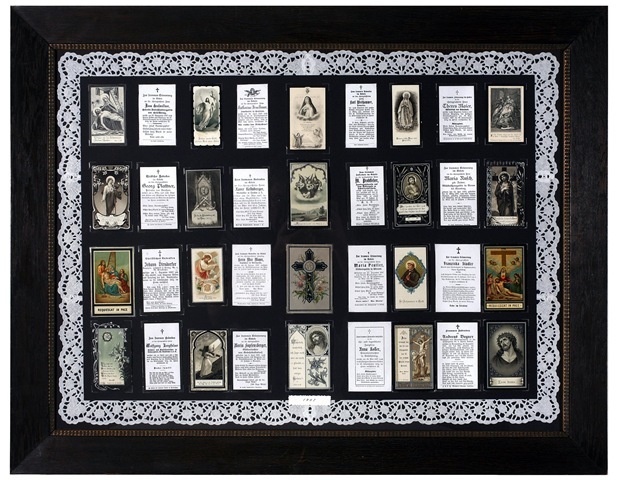 Marianne Hildebrand “Sterbebildchen” (memorial cards, date unknown). As ‘dasein’ is presented with the death of others, this is experienced in its barest sense as their death & is not mine. We can still observe in others that death is the end of being, the end of their being. Their being is no longer present. However there is still a leftover, residual, &/or legacy of their lives that serve as reminders of the dead. The dead are (usually) not rendered as useless objects once they have died. “The dying of others is not something which we experience in a genuine sense, at most we are always just ‘there alongside.’” (B&T 239) In other words, we cannot truly (existentially) experience the death of another, because their death is exclusively theirs, as our death is exclusively our own. Heidegger does state that we, or someone else, can ‘represent’ another to die for us. We’ll imagine the case of a soldier placing himself heroically to die in the place of his fellow soldier, but, the then living soldier still must die his own death someday. “No one can take the other’s dying away from him.” (B&T 240) Just as ‘dasein’ is mine, death is also mine, it belongs to the “mineness” of being. (B&T 240) To decease is different from merely perishing, as is understood consciously by us & the individual. Again, we are not simply things that end, we are humans that die. We, or Heidegger wouldn’t be discussing the matter is it were otherwise. For the living, death is “still outstanding.” (B&T 242) Death is always ‘not yet’ for ‘dasein.’ Continuing into this ontological/phenomenological structure of an understanding of death, we’ll see it as ‘not yet’ here. “In dasein there is undeniably a constant ‘lack of totality’ which finds an end with death” (B&T 242) This ‘not yet’ cannot be seen as a deficiency, like a sum of things to be gathered in the future & nor is a life made whole when all the parts have been gathered. For example, it is easily observed that a person can die before he has a chance to be an adult & to accomplish personal goals & so forth. In this example it can be seen that the person’s life continued to be a ‘not yet’ even before the early death. “Even ‘unfulfilled’ dasein ends.” (B&T 244) Heidegger warns that seeing life as an object to be added to & used like a tool is similar to perceiving it as ‘ready-to-hand’ & ‘present-to-hand.’ We are not objects, so a thing has categorial determinations & ‘dasein’ has existential determinations, such as the subject of this exploration of being. “In death, dasein has not been fulfilled nor has it simply disappeared; it has not become finished nor is it wholly at one’s disposal as something ready-to-hand.” (B&T 245) The ‘not yet’ of ‘dasein’ is the ‘not yet’ death of being, which renders it whole. 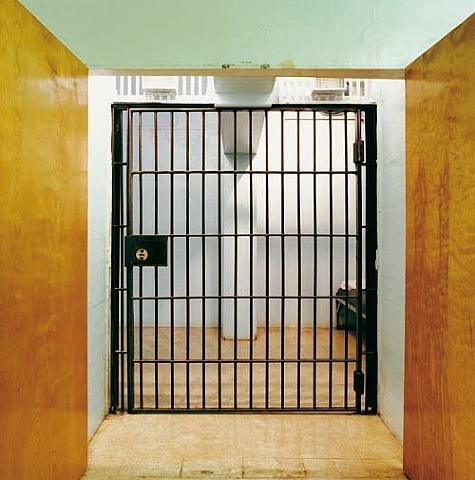 “As soon as man comes to life, he is once old enough to die.” (B&T 245) When we are born, we are existentially locked into the cycle of birth & death. We have always known that death is intrinsic for our own being & we’ll see later that this death-certainty can be obscured too. It is not till we try to understand what death is, that we can then start to take on an understanding of ‘dasein.’ A perception of death’s finality, informs life. 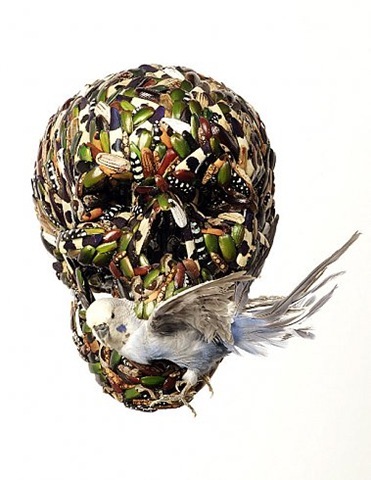 Jan Fabre “SKULL WITH BUDGERIGAR” 2000, Jewel beetle, click beetle and ground beetle shields on synthetic material with budgerigar. That death is always “something still outstanding” for dasein, (B&T 246) is the kind of realization that is based in ‘care,’ as life moving forward in time & as our lives pushing ahead & always propelling toward the end. We have already pointed out that Heidegger separates any reading of the spiritual & mystical as relating to death. Any talk of what might happen ‘after death,’ is left aside, but not dismissed outright. René Magritte “Madame Rêcamier” 1967, bronze. Now look to “…how dasein’s existence, facticity & falling reveal themselves in the phenomena of death.” (B&T 250) Being is not always aware of its ‘thrownness,’ but when it is it is said to be this way, in anxiety. We’ll see an anxiety over the basic contingencies of life, over its ‘thrownness.’ ‘Thrownness’ reveals the facticity of life to ‘dasein.’ ‘Dasein’s’ existence is ‘thrown’ here, not as a thing, but as its own factual & specific being. So this “…anxiety in the face of death, is anxiety ‘in the face of’ that potentiality-for-being which is one’s ownmost, non-relational, & [is] not to be outstripped.” (B&T 251) Let us say that this ‘non relational’ quality of death has to do with the bare way that death is exclusively our own. Therefore, ‘being-toward-death’ is looked upon with anxiety. We are thrown here & must someday leave, a careful anxiety is how this is disclosed to us. 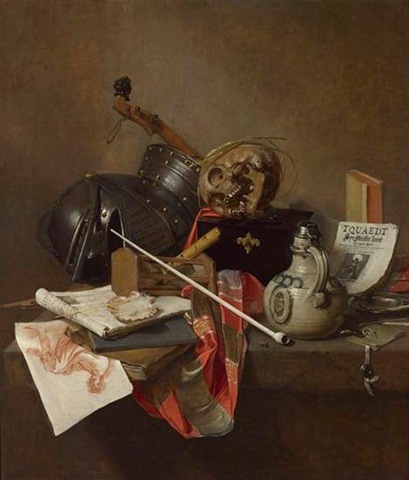 Jan Janz Treck “Vanitas still life” 1648, oil on oak. 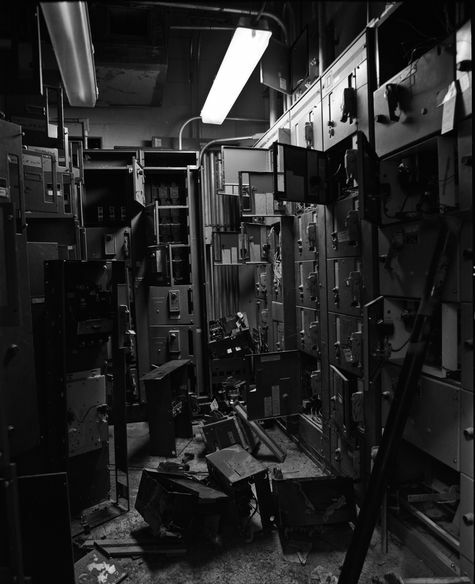 Lucinda Devlin “Final Holding Cell, Indiana State Prison, Michigan City, Indiana” 1991, Chromogenic Print. To be clear, these ideas of the ‘authentic’ & ‘inauthentic’ must not be viewed as the beginnings of a Heideggarian system of ethics. Instead we’d do well to observe the two (‘authenticity’/’inauthenticity’) as the obverse & reverse of a single coin, a single life. To identify someone as ‘inauthentic’ is not a judgment call to reform one’s life to a monastery of ‘authenticity.’ Still ‘they’ propel an attitude of life that is a “constant tranquilization about death.” (B&T 254) This ‘tranquilization’ serves as a way to console the living & the dying. Understandably, a general attitude is, that death should be avoided. This presents obvious problems with our attitude about death, for surely one cannot see Heidegger’s ideas as a call to prioritize death over life with a ghoulish abandon. With all this in mind it is clear that a certainty about death is insistently needed to see life’s potential, instead of a deathly preoccupation. Keep in mind that Heidegger’s search is for truth (termed ‘aletheia,’ but not specifically named as such, in these chapters). “But ‘truth’ signifies the uncoverdness of some entity & all uncoverdness is grounded ontologically in the most primordial truth, the disclosedness of dasein.” (B&T 256) We are trying to find the truth of ‘dasein’ in that we must acknowledge death as something being lives toward. We have seen that ‘dasein’ can conceal truth & in this revelation it can be said that ‘dasein’ can also be in states of untruth concerning its being. We can lie to ourselves about death & we don’t want to always believe that we’ll die. Conversely if we are to look for the truth, we’ll find the certainty of death muddled somewhere in the everyday. 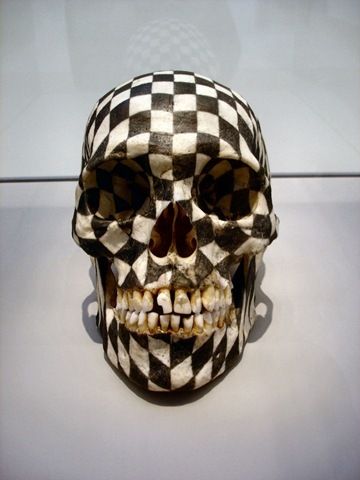 “Black Kites,” Gabriel Orozco, 1997, Human skull and graphite. If we’ve already seen death as a fact & if we’ve seen this truth as a certainty in its ‘utmost possibility,’ we’ll then need to recognize what is implicit here, that is “…to project itself [as] its ownmost potentiality-for-being, means to be able to understand itself in the being of the entity so revealed—namely, to exist. Anticipation turns out to be the possibility of understanding one’s ownmost & uttermost potentiality–for-being—that is to say authentic existence.” (B&T 263) This is where Heidegger makes the all-important connection between dasein’s ‘authentic’ recognition of the ‘utmost possibility’ of death as it vividly relates to the possibility for being itself. Importantly the individual has to summon this ‘authenticity,’ arising out of his own certainty of death. 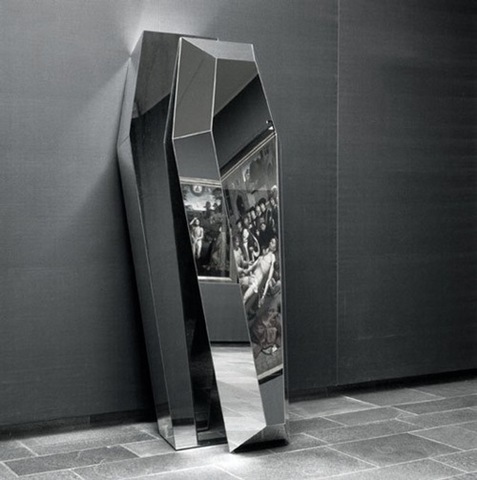 Michelangelo Pistoletto “Mirror Coffin” (date unknown). *Heidegger, Martin, Being & Time, trans. Macquarrie & Robinson, Harper Collins, San Francisco, 1962. …& thank you to Dr. Dylan Trigg for suggesting I read his book. Please take a look at his Side Effects blog for a continuation & archive of his thoughts. Also thanks to Peter Lang Publishing for sending me a copy of the book to read & review. I’d like to additionally send many words of gratitude to Brian Henry, Babett (bqueue), Ursula Pfitzer Chris Holder enblita, Cyan 64′ & drgonzoisnotaphotographer for letting me use their fine images in this post. 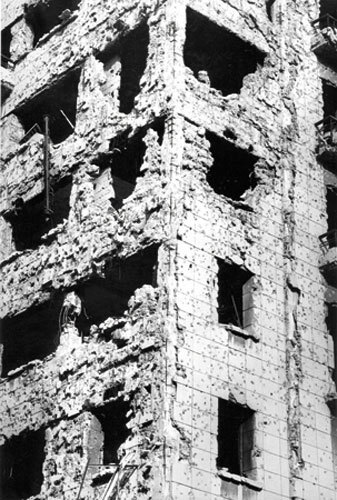 A war photo of Sophie Ristelhueber’s is also featured, along with the ‘neo-ruins’ of Hisaharu Motoda. Dylan Trigg’s book The Aesthetics of Decay, Nothingness, Nostalgia, & the Absence of Reason is a reassessment of traditional ways of observing. In this book Trigg is precisely philosophizing on ruins as they are experienced. Let nobody be confused by the term aesthetics, Trigg does not write this as a shallow attempt to further an advocacy of ruins as places to be restored, adored & monumentalized. 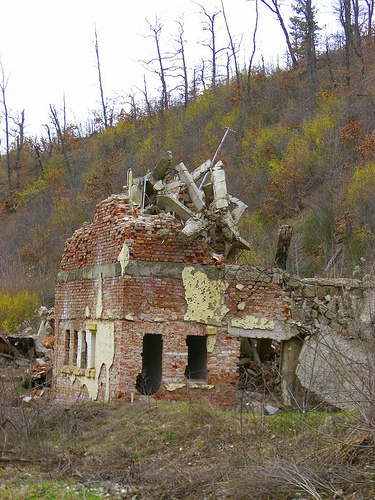 He does not seek to answer a superficial question on whether modern ruins are beautiful. Rather, Trigg wants to show a way by which to observe the actual experience of the ruin as it happens to be, as it is, & as it’s given. Trigg’s account broadly uses a phenomenological background, but he does not follow a strict phenomenological framework. Most of all, this is a book of in-depth philosophical aesthetics & fine scholarship. Trigg steps through ruins from the annals of philosophy, literature, fine art, poetry & music to build a case for an informed way of seeing, a refined way of describing & an impressive way of doing aesthetics. The intent of this review is to look at a few of Trigg’s concepts, how he reflects on these ideas & how he implements philosophers (& others) to support or contrast his position on ruins & decay. I will also be offering commentary, sidelines & other marginalia as we go. Not too far from Trigg’s explorations are fundamental phenomenological guides that will also be briefly noted. As Trigg’s text draws on many distinguished thinkers & ideas throughout the book & I have carefully extracted only a handful of key elements from his vast range of perspective & reference. 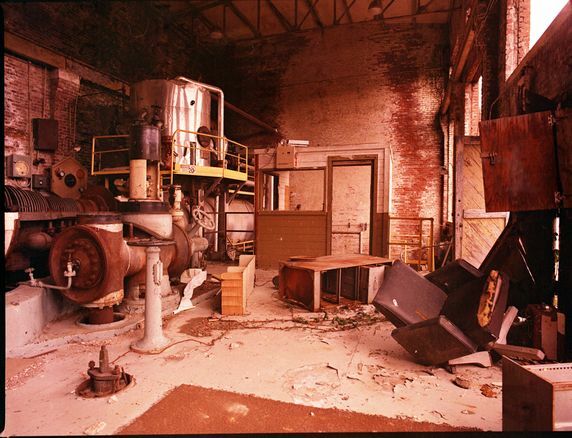 Trigg’s book offers the reader a set of elaborate intellectual tools from where we can affix & calibrate our own exploration of the ruined structure, the decayed building, & those often maligned irrational spaces of desolation. This condition (or phenomena) Trigg names as a “dynamic stasis” & “Mourning therefore is the deserted space silence occupies, carried out in lived experience.” Here Trigg brings to mind a self-conscious attitude where we can observe ourselves contemplating the nothing. The aesthetic encounter with the nothing has as its center the fact that we are simply asking ourselves about the nothing, as self-consciously as possible, while recognizing the ‘otherness’ of the aesthetic experience. Trigg shows us that G.W.F. Hegel had the idealism whereby the consciousness had to see itself in contemplation to understand that it is within the mind of the observer that the experience of the object is placed. In this Trigg asks us to situate ourselves temporally in the ruin, consciously having an aesthetic encounter that results with a sense of the nothing, of the nothing as temporally adjusted. Trigg discerns a palpable silence as having a distinctly mournful quality & from this mournful quality we are urged to utilize memory, as a method of understanding an access point to the experienced ruin at hand. Trigg additionally shows us Plato’s notion of an artist (or poet) who is simply a mediator between forms & the higher power of the muses & who is also susceptible to divine madness. This is in connection with a short discussion on how Hans-Georg Gadamer situates a viewpoint that allows Trigg to bridge the mind to the ruin aesthetically, hermeneutically & presumably phenomenologically. 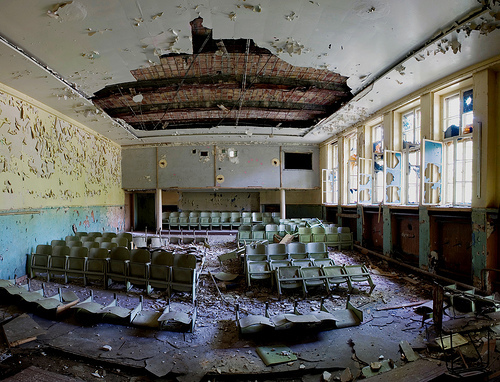 How do we understand our interpretation of the experience of nothing in a ruined space? “The interpreting work of hermeneutics means that aesthetic experience exceeds sensual experience & crosses over into a reconstructive act of conceptual engagement.” It is up to us to complete the aesthetic experience of the fallen place that is unfamiliar. The experience of this place is crystallized in our own minds, so the transition between the object & the mind is actively reflective, the mind is actively aware. This where we find the nothing to be encountered & where we will find the absence of violence, that positions the silence & suggests the mournful. From this we recall & attempt to reconstruct a memory, leftover in the desertion of the marginal space. This kind of memory is a disruption from the everyday. Trigg urges us to actively seek the deepest sense of the word memory. It is while we are in this particular recollection, where we can think of another of Bergson’s dualities (& arguably one of Bergson’s central concepts) between duration (durée) & objective measurable time. Basically this is similar to memory in that we have two types of memory held with measurable time, time measured by the clock, calendars &c. Recollection is then held against our interior duration, where time is continuously expanding as we live, drawing in the whole of our lived experience as one time unit, one lifetime that continues from birth till death. 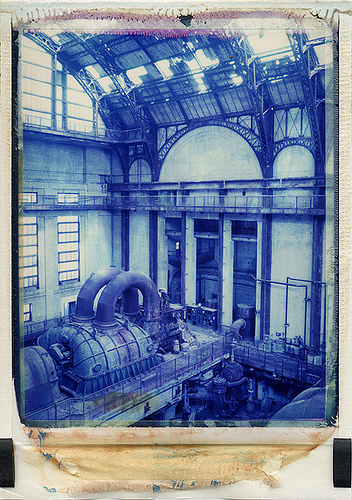 “Bergson’s division between the external stratum of divisible time in the inner experience of flux, between the static outer form & the fluid inner duration, echoes the Symbolist’s preoccupation with a dualistic…view of the world.”  Trigg uses Bergson to dislodge us from a notion that we need to think of memory as strictly a concern with linear temporality & to instead see it as unbounded by time. We would do well to remember Proust’s legendary madeleine for a disruptive corollary from habit memory to independent (involuntary) recollection. 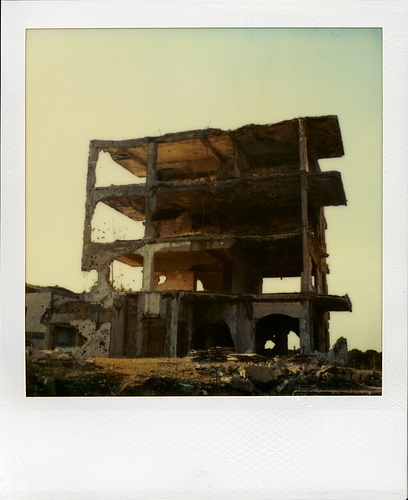 Trigg’s displaced ‘madeleine’ is the ruin. The displacement of memory, this “impasse” is a particular kind of exile. From exile, Trigg in one example leads us back to the Biblical metaphor of ‘the fall of man’ & how the story of ‘the fall’ intrinsically contains a sense of exile from the eternal & perfect aspect of God. Adam & Eve are no longer welcome at the home God made for them in the Garden of Eden, thus being cast out as mortal sinners. The allegory then completes itself when the cast-out sinner has to then seek redemption to return to God, a lifetime of seeking a reunification with God. “Christianity substituted faith for homelessness.” This is where we start to see a conflict with reason, faith & Eve’s eating the apple from the Tree of Knowledge, all that was seen to be opposed to reason. The redemption is then sought through faith. “The word of God will bring about this homecoming.” & “From a Christian perspective, exile necessitates resolution.” The absence of God impels the faithful to desire a communion with the divine to seek salvation from original sin. From here Trigg lays out an intriguing argument using Hegel’s ‘rational idealism.’ This is history tending toward the ‘absolute.’ Here we find a dialectical triad that the spirit of mankind embodies. This suggests that history is always becoming better than what came before it, always perfecting & always becoming the ‘absolute ideal.’ This could happen through mankind’s successes as a thesis that is then challenged by its antithesis, thus rendering a more rational & deterministic synthesis. This is a projection of history before it happens. Trigg identifies it as a reverse nostalgia in Hegel’s way of glorifying the future, to downplay the present as eternally not yet there. 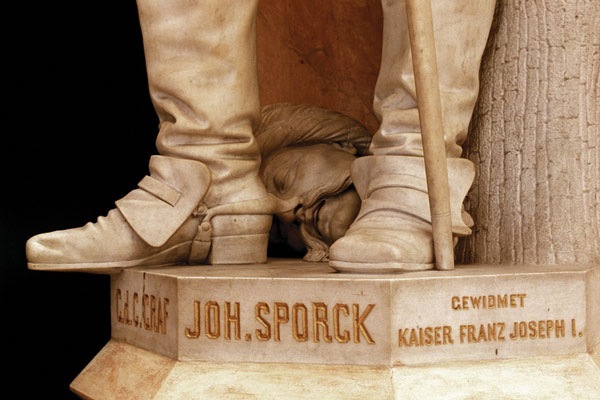 “The representation of history as monumental has not yet been exhausted.” & “His [Hegel’s] account of history ends in his lecture hall.” This dismantling of Hegel is leading us to Trigg’s larger & central position on post-rationalism via post-modernism. Beginning to look at how rationalism has been challenged, Trigg ushers in post-modernity with its centerless tendencies & with its admixture of relativism. This then takes us to Lyotard’s rejection of the ‘metanarrative,’ as a ‘mere language game.’ We are no longer able to fully satisfy our idealism for a perfect rationalism because an ‘epistemological foundationalism’ has been undermined by Lyotard’s ‘incredulity’ toward the ‘rational absolutism’ of Enlightenment ideals. Lyotard’s way of unraveling the ‘grand narrative’ removes post-modernity from a responsibility toward truth & power. “By aligning skepticism with philosophical relativism, producing a vague version of epistemological contextualism in the process, postmodernism manages to carefully evade counter-refutation on the basis of truth, often deeming refutation an act of serious objectivity, or worse, an expression of power.” Add to this that Lyotard’s attempted erasure of the meta-narrative had the unpleasant effect of becoming a meta-narrative itself. Lyotard sought to answer a theme of relativism by reaching for micro-narratives that vie for hierarchy on their own accord & enabling the decentered world of post-modernity. These views on Lyotard’s post-modern thought are astonishingly countered when Trigg recall’s Dadaism’s rebellion. Dada disposed of rationality as a prominent trope in its machinations & boisterous convulsions. Dada did away with truth & aspired to meaninglessness. Dada claimed to be a successful failure & vise versa, a failure of success. “In Dada nothing is lost & nothing is gained.”” Dada was everything or not. Trigg quotes the Romanian/French artist provocateur Tristan Tzara announcing that Dada “signifies nothing.” This quote is from Tzara’s “Lecture on Dada” where Tzara writes: “Dada applies itself to everything, and yet it is nothing, it is the point where the yes and the no and all the opposites meet, not solemnly in the castles of human philosophies, but very simply at street corners, like dogs and grasshoppers.” The post-modern spirit rests in these beginnings & this rebellion, but post modernism doesn’t fare so well with it’s refusal of the ‘metanarratives.’ “By subverting the metanarrative & the Enlightenment conception of rationality, post-modernism involves a mode of nostalgia that depends on what was annihilated to affirm itself in the temporal present. Because of this negative identity, post-modernism remains locked in the past despite its attempt to evade temporal determinism.” The Dadaists, on the other hand, knew that they where going nowhere fast. They were absurdists to show the rest of the world it own absurdity by mocking everyday bourgeoisie rationalism & its artistic ‘good taste.’ “Its dissolution had to happen.” It is suggested that the Dadaists were for Trigg, purer in their chaotic agenda because they didn’t seek a re-positioning of an ‘epistemological foundationalism’ as did Lyotard. Surprisingly we have Dada’s defiant insouciance obviated away from any of its philosophical responsibilities. Baudrillard, post-modernism’s reluctant spokesperson, wrote of the “Illusion of the End,” where history is subverted by its media soaked simulacra, its double, enforced by yet another manifestation of cultural nostalgia. Baudrillard posits that we seek to relive the past in the present as a constant reliving of the end. A 2nd hand history that’s constantly simulating itself as it’s deflated by itself, the past then becomes mere pastiche, another style, another end. With Hegel’s dialectical history banished, the rational snake eats its tail. Baudrillard’s nihilism doesn’t resolve itself by definition, thus raising more confusion & propelling itself to be out-done by its own un-idealistic refusals. In post-modernism for Trigg “We lend ourselves to a fragmented corruption of reason masquerading as a myth of dissent.” Compellingly enough, Trigg asserts rationality as ascendant in this case, by a countering of post-modernism’s claim to a centerless trajectory. This leads us & Trigg to address & continue to examine other arguments by which to loosen our grip of rationality, brick by brick. Trigg proceeds in demonstrating that rationalism is compared to the emotional power of Gustave Mahler musically hailing the end of Romanticism & thus a loosening of the hegemony of reason transitioning into the 20th century. Mahler’s experimentation begins the embrace of formal experimentalism, e.g. serialism &c.
We are shown an idea that rationality has a claim to permanency & order. Reason in the shadow of decay is transient. 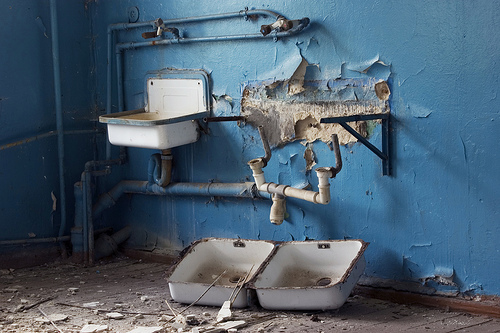 Rationality doesn’t always neatly allow for the un-pure ruin, entropy & eventual decline. That reason ‘should’ flourish is what the ruin contradicts, a ruin stands as a testament for the irrational & the soon to be post-rational. “Unable to rationalize decline, the aim of reason has been to shadow the mutable by affirming the permanent, the illusion is not dead.” The assumed supremacy of reason is not easily dislodged with the corrupting power of architectural failure. “At the end of its present narrative, history’s morbid nostalgia toward reason has prevented us from ascribing virtue to decline & vice to formal abstraction.” The ruin is in silent certification of the fallibility & insufficiency of reason to hold itself as sovereign & as the only answer. Can we cling to reason in the face of destruction, if destruction itself is irrational? From Rome & the ancients we observe Christianity, where Trigg sees the sinner as symbolic of the decline one should work against in the name of redemption. The perfection of God is viewed as an inspiration to flee from spiritual desolation, decline, & the irrational. From a Christian standpoint “the fall of Rome becomes synonymous with sexual transgression, while sin is viewed as an antecedent of decay as a result of this equation.”  In this religious context, the mutable body needs to be saved & absolved from fundamental decline. Moving swiftly from a graceful biblical inquiry, we find the Baroque metaphysical poet John Donne in later life, with his fragile health & morbid sensibilities yearning for a kind of ‘stasis.’ For Trigg this stasis is important, since “stasis establishes a center, a space from where the erosion of things can be viewed.” The aesthetics of decay bears its gnarled roots in Donne. Continuing along the irregularities of the Baroque, the artist Salvator Rosa’s saturnine & bone strewn landscapes are cited as precursors to the popular vanitas theme of later years. 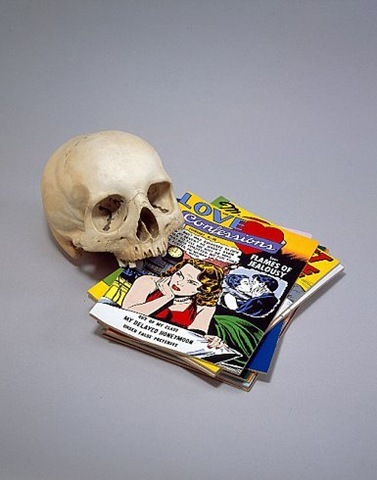 “With Rosa, the aesthetic consideration of decay is transformed from pius degradation into a memento-mori…” Rosa’s paintings show not a past replete with victory & triumph, instead we are cast amidst the skulls & bones of a past where a philosopher like Democritus is left to contemplate the transitional nature of life. The landscaping habits of Romanticism in the late 18th & early 19th centuries are not left out by Trigg. The Romantic landscape was enthusiastic for the exotic & its mythic reckoning of a pre-industrial ‘golden age.’ All manner of faux ruins satisfied a garden of melancholic nostalgia, fueled by a sensibility that ran counter to the impositions of the rational world. These gardens were a retreat from an imposing mechanized future, offering the sensitive aesthete an artificial refuge & a fabricated past. However, all Romanticism was not fake & false. Authenticity of aesthetic experience was sought after by Casper David Friedrich & many others, leading to ideas of the sublime which we’ll look at later. The artist Friedrich exemplified a sublime observation of the Arctic in his “Sea of Ice / The Wreck of Hope” (1823-24). The awesome forces of nature are painted as a dramatic fracturing of nature in all its transitional & frightening grandeur. The frozen sea swallows a ship—summoning a disaster of reason. Trigg’s remarks on the Romantic era, remind us that a ruin can easily be melancholic kitsch, as to be distinguished from his aesthetic of the ruin. Trigg proceeds to mark out a culture in decline, that of capitalism & consumerism. Overt consumption is an outward signal of a society conscious of its deterioration. “The more severe the pessimism, the greater the demand for expenditure.” Accordingly Trigg asserts that a fleeting consumer culture is sidelined by a noticeable disappearance of the 19th & early 20th centuries’ fetish for the architecture of industry. Nowadays industry is hidden & unseen. 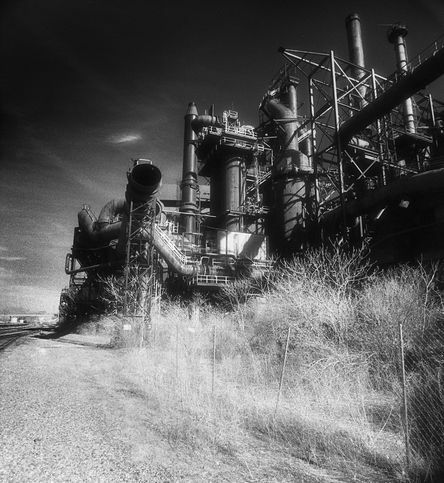 The remnants of industry have developed into a post-industrial landscape, quietly & silently contradicting reason’s progress. 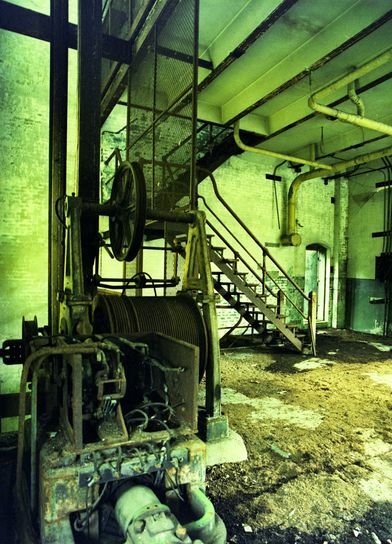 Trigg brings in the phenomenologist Edward S. Casey in to clarify the post-industrial mood we were left with. “If we say that space is where place occurs then place becomes individuated & particular.” This statement is inside a phenomenological perusal of ‘space’ that names the familiarity of home as ‘place.’ A sense of place is never really forgotten & the possible reading of space as reflected by our remembering of home as place, is a feature of what place is. When we are thrust into a space that is ruinous, it’s in contrast to our home. Experience brings about a displacement of space within Trigg’s ruin that challenges us in a spatially unfamiliar way. From late-capitalist’s parceled & digital landscape that jettisons forward to an unobtrusive non-place, Trigg uses Casey’s ‘encounter’ with the landscape partially to see the ruin as comparable to nature’s chaotic ‘wilderness.’ Surely a ruin is ‘wild’ & said to be ‘returning to nature.’ On Casey’s vision of desolation Trigg says: “…the desolation of the desert, disordering binary space & encouraging displacement fulfills the fate of the modern ruin.” Add to this, Trigg’s ruin is ‘haunted.’ A non-familiar space felt temporally becomes vague in buildings that have been forgotten & where memory is disjoined by a tangible breakdown of typical norms of gentrified space. “In the region of the haunted, we encounter an uncanny temporality.”We have a fragmentation of memory as we do with any architectural space. However the past becomes overly evident in the ruin, enough to have a tenable displacement. 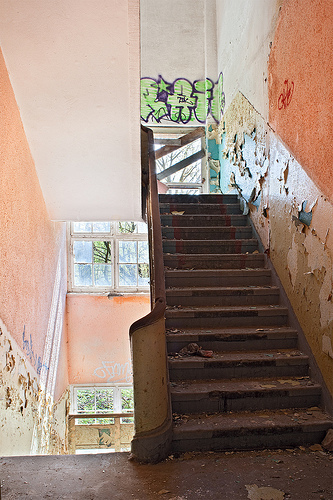 From the ‘post-sublime’ ruin, we take a quick phenomenological tour through the alleyway. This chapter has to be one-of-a-kind in the world of philosophy. The alley way is where we find dissonance & a particular truth. “Spatial lassitude implicates a non-place in which the deformation of use clashes with the residue of use.” The use of the alley as a designated space for the discarded allows us to see it as a space for the salacious. The alley is a marker for what is not meant to be seen aesthetically. Trigg’s subversive aesthetics permits us to dissect the readily observable ‘noema/s’ that are vivid throughout this space of refuse. 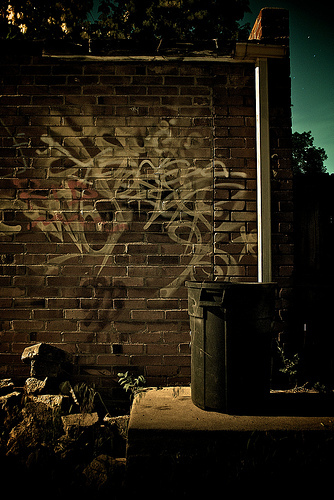 This observation of the alley leads to a discussion on the front of the building’s urban stoop, the doorstep & transition-way from the outside world on to the inside world that brings us ‘home.’ Trigg quotes Gaston Bachelard “All really inhabited space bears the essence of the notion of home.” With the stoop, a dialogue is established between our persistence & the protracted decline of material: a dialogue that the immobility of the stoop facilitates. Clearly for Trigg the stoop is fraught with memory. For Bachelard a familiar inside/outside dichotomy is brought to the aesthetics of space. The inside of a house is enmeshed with intimacy & the inside must be imbricated with the outside as its more ‘threatening’ counterpart. Trigg asserts that this polarity is dialectical, inside is just as necessary as outside & both fuse in the experience of living. The inside comforts cannot be had without facing the threat of the outside world. With this idea home is never a mere geometrical box, instead it is a structure for day-dreaming. Unpressured relaxation is allowed, standing in opposition to the potential harshness of the great outdoors. For Trigg, easy reductions won’t do for us to rest our weary heads dreamily in the refuge of home “…ambiguity between these divisions does not bode well for Bachelard’s account of dwelling, since without an explicit distinction between inside & outside, the space to withdraw would dissolve.” The ruin is not home-like & it’s not amenable to comfort. The artist & holocaust survivor Gustave Metzger makes an appearance for his auto-destructive art that championed the anti-rationality of break down, falling apart, chaos, & displacement. The temporal art object is characterized by a questioning of permanency. The ephemeral newspaper & other transient materials are used & left to their own decline. 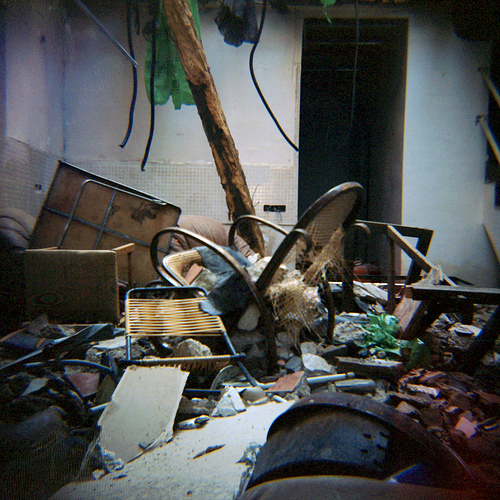 Destruction & entropy are observable factors in our lives. These facts are enhanced & examined by Metzger. What’s better way to show this than to offer the art object itself as the disposable sacrificial lamb? To this, Trigg offers a comparison to Matthias Grünewald’s Crucifixion (1523-24). The corpulent wounds of Christ, complete with the famously green flesh are looked at & written about by none other than the body-phobic J. K. Huysmans in his book “À Rebours.” Huysmans was no stranger to the aesthetic potential of the putrefactive flesh & the decaying body. 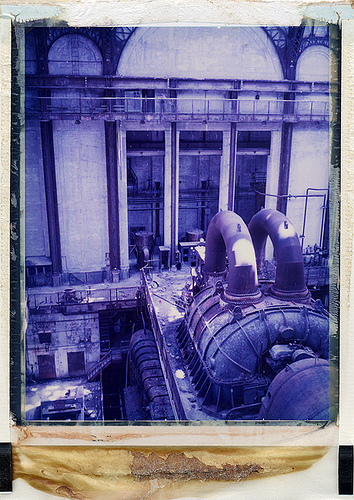 In this last chapter of the book Trigg begins to look at an obvious question ‘What about preservation?’ In a series of in-depth comments we come to the compelling appraisal “preservation of a built environment coincides with cultural pessimism.” This cultural pessimism is brought about with our current dissatisfaction with an ‘impending doom’ scenario as predicted by environmentalists. Therefore a quest to find answers in the technological innovation, while ignoring that innovation is what got us here in the first place. Our attitude of ‘it will be better tomorrow’ is the rationale for our progression to a ‘better world.’ “The eventual consequence of scientific rationalism is an estrangement from nature. With nature viewed as a mechanistic process, devoid of anything transcendental, it becomes reduced to mere matter.” Paradoxically conservation is a symptom of decline & reason guarantees this. With attention to the idea of rational aspirations & cultural pessimism Trigg posits that “Cultural pessimism thrives because it is a resistance against the incompatibility between expectation & experience.” The modern ruin contradicts reason’s permanency. 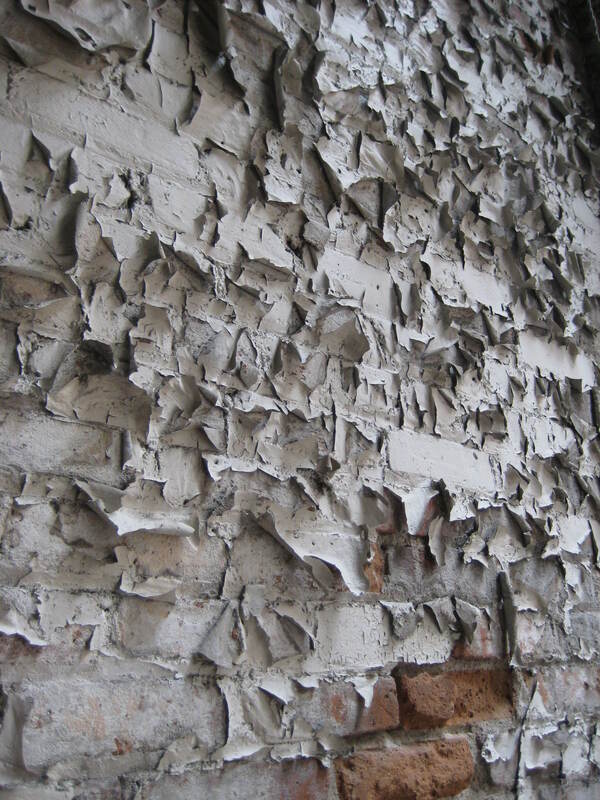 “Decline, discontinuity & dissolution” are values to be earnestly sought after–within the ruin & observing decay. 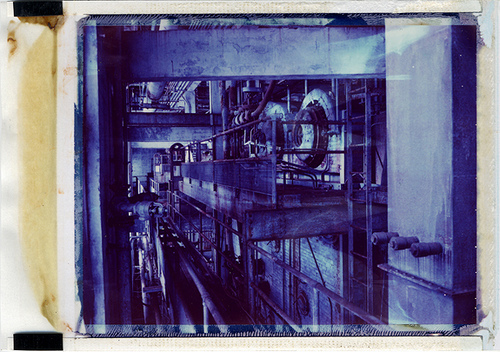 …Ursula Pfitzer’s photostream on flickr. …Chris Holder’s photostream on flickr. 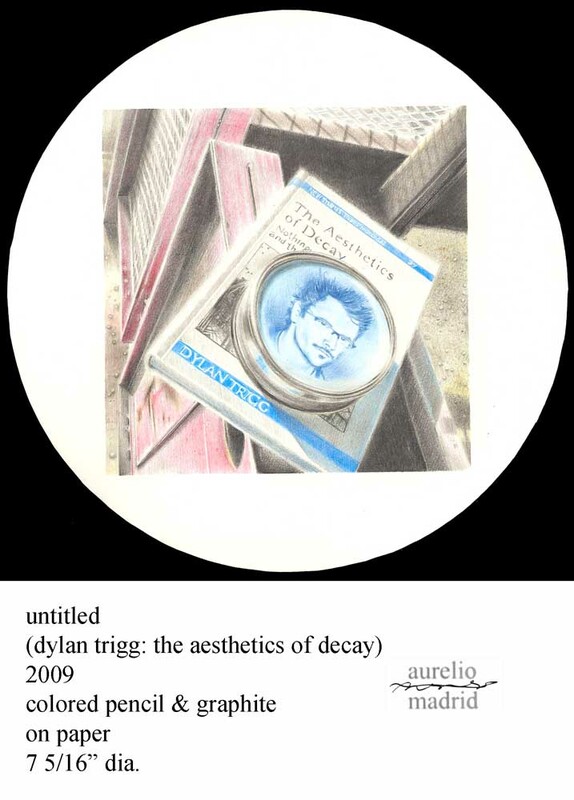 Trigg, Dylan, The Aesthetics of Decay, Nothingness, Nostalgia, and the Absence of Reason. 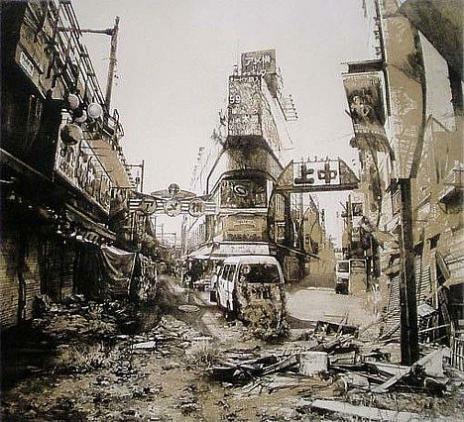 New York, Peter Lang, 2006. …It is worth noting that while reading Trigg’s book I also read: Sokolowski, Robert, (Introduction to Phenomenology, New York, Cambridge University Press, 2000). This book proved to be indispensible in a basic understanding of the phenomenological approach. I wouldn’t have fully grasped some of Trigg’s subtleties, namely a way to position experience within the context of my own lived experience of the ruin itself. Sokolowski helped enormously to explain Trigg’s phenomenological underpinnings. Heidegger, Martin, What is Metaphysics? Basic Writings, Ed. David Farrrel Krell, New York, Harper Perennial Modern Thought, 2008, pp. 93-110. Trigg, op. cit., p. 8. Trigg, op. cit., p. 21. …see Bergson, Henri, Matter & Memory from Google-books. …coincidentally Trigg & I share a fascination for the European (19-20th century) fin de siècle art movement known as Symbolism, where artists sought to make objective, the subjectivity of the mind & its private ‘language,’ through painting, music, the performing arts, poetry & literature. …it might be helpful here to step back from Trigg’s analysis to go back to Sokolowski’s account of memory, since memory & remembering are key parts of the phenomenological description. Sokolowski indicates simply that memory & remembering are used as recollection while experiencing the object. There is the object before us, but there is also a whole range of ways that we remember features of that object that inform how we understand that object. “In memory the object that was once perceived is given as past, as remembered. Moreover, it was given as it was then perceived…” (Sokolowski, Robert, Introduction to Phenomenology, New York, Cambridge University Press 2000, p. 69) On the other hand while still using memory Trigg takes memory further unto the ruin to seek then to identify a fracturing from the familiar & into the space of the unfamiliar, showing that memory has to work in an untypical way. Trigg, op. cit., p. 29. Trigg, ibid., p. 47 (both quotes). …on this specific word: absence let us recall Sokolowski, to speak generally about the role absence plays in the phenomenological experience. Absence is of course contrasted with a more obvious presence when phenomenologically regarding the object. “The absences that surround the human condition are of different kinds. Some things are absent because they are contemporary, but far away, others because they are concealed or secret, and still others because they are beyond our comprehension & yet are given as such: we can know this is something we don’t understand.” (Sokolowski, op. cit., p.37) Incidentally, Trigg’s theory of the nothing also recalls this key experiential element: the absent. Trigg, op. cit., p. 40. Trigg, op. cit., p. 61. …see ‘Thesis, antithesis, synthesis’ entry on Wikipedia. Trigg, op. cit., p. 63. …see Lyotard, Jean-Franc̨ois, The postmodern condition: a report on knowledge, from Google-books. Trigg, op. cit., p. 70. Trigg, op. cit. p. 74. …see Baudrillard, Jean, The Illusion of the End from Goole-books. Trigg, op cit., p. 77. 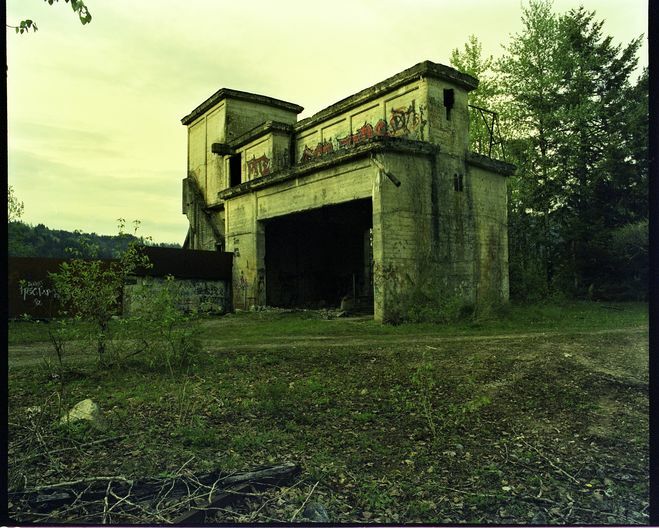 …in addition to addressing the theme of a phenomenological absence & by extension the ruin’s presence, Trigg’s naming of the ‘absence of reason’ generally directs us into two of Sokolowski’s three fundamental structures of a phenomenological method of experiencing & ‘intending’ the ‘given’ world around us. ‘The absence of reason’ is basically a ‘part of the whole’ of a ruin (or any given object under consideration. “Whenever we talk about something, we articulate parts & wholes within it. The parts and wholes make up the content of what we think when we go beyond simple sensibility & rather mute perception. The naming of parts is the essence of thought, & it is important to see the difference between pieces & moments [moments are parts that cannot be separated from the whole e.g. colors, body movement &c.] when we try, philosophically to understand what understanding is.” [Sokolowski, Robert, op. cit., p. 27] Coupled with this, I’ll say that the ‘absence of reason’ is for Trigg one part (or moment) of the ruin’s identity, thus it is the third of Sokolowki’s structures known as an ‘identity in manifolds.’ “Indeed. Perhaps the easiest answer one might give to the question, ‘what is phenomenological analysis?’ would be to say that it describes the manifold that is proper to a given kind of object. 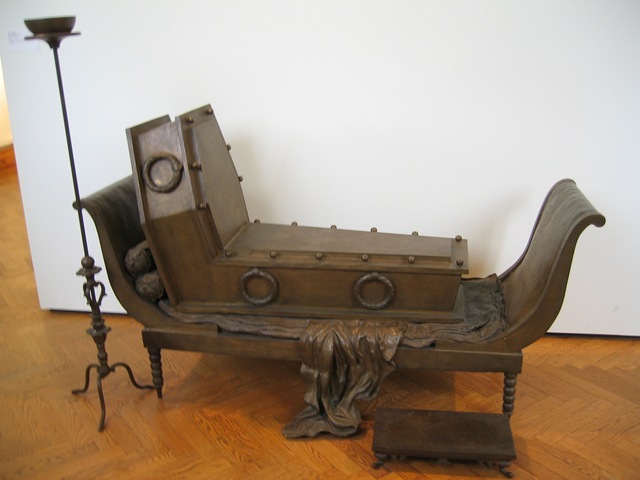 A phenomenology of meaning would spell out the manifold through which meanings are given; a phenomenology of art would describe the various manifolds by which art objects present themselves & are identified…” [Sokolowski, Robert, op. cit., p. 31] Remember that this is a single abbreviated example of how I see Trigg utilizing the phenomenological method (exampled here with the ‘absence of reason’). Trigg’s examination of ruins, more or less, is phenomenological & the parts of the whole are replete in this book. If the ‘absence of reason’ can be considered a part of the whole & a part of the ruin’s ‘identity in a manifold,’ Trigg’s nothingness, memory, exile & nostalgia can simultaneously fit in this phenomenological reading as well. Trigg, op. cit., p. 79. Benjamin, Walter, “Thesis on the Philosophy of History,” Illuminations, trans. Harry Zohan, London, Fontan, 1977. Trigg, op. cit., p. 88. Trigg, op. cit. p. 88. Trigg, op. cit. p. 91. …Plato’s Forms are distinguished from actual physical forms & are physical form’s idealistic pure state. Form (capitalized) is the purest idea of any given form. Trigg, op. cit. p. 100. …see Real Gothic’s blog post John Donne’s Death Portrait & the Cult of Melancholia. Trigg, op. cit., p. 103. …see Friedrich, Casper David Das Eismeer (Sea of Ice / The Wreck of Hope) from Hamburger Kunsthalle. Trigg, op. cit., p. 116. …see Edward S. Casesy’s home-page from The Department of Philosophy at Stony Brook University. Trigg, op. cit., p. 121. Trigg, op. cit. p. 130. Trigg, op. cit., p. 131. Trigg, op. cit., p. 138. …see Gardens of Ninfa from Italy Heaven. Trigg, op. cit., p. 141. Trigg, op. cit., p. 143. …see The Sublime from a historical point of view (quoted from the Grove Online Dictionary of Art). Trigg, op. cit., p. 148. …Bachelard, Gaston, The Poetics of Space, cited by Trigg, op. cit., p. 161. Trigg, op. cit., p. 164. …see Blake, William, I want! I want! from tee tee tee. …i.e. the goals of faith? …see Conversations of Goethe By Johann Wolfgang von Goethe, Johann Peter Eckermann from Google-books. Trigg, op. cit. p. 167 (I’d love to see & know where this gold cup resides today). Trigg, op. cit., p. 172. …see Jones, Jonathon, Gustav Metzger: the liquid crystal revolutionary from The Guardian. …see Huysmans, Joris-Karl, Against the Grain (A Rebours) from ibiblio. Trigg, op. cit, p. 183. Heidegger, Martin, Letter on Humanism op. cit., p. 243. Trigg, op. cit., p. 194. Trigg, op. cit., p. 203. Trigg, op. cit., p. 204. Heidegger, Martin, Building Dwelling Thinking, op cit. p. 352. Trigg, op. cit., p. 202.